The replacement battery cartridge for the SU2200R3X167 is complete, no assembly of the battery cartridge is required. The APC SmartUPS 2200 Rack Mount 3U SU2200R3X167 replacement battery cartridge is a high quality UPS Rated battery that is designed to provide excellent performance and long life in UPS devices. Our batteries are new and always fresh stock. 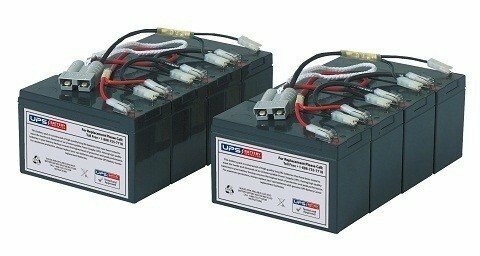 The SU2200R3X167 battery cartridge is covered by our industry leading 1 year replacement warranty.